If you have browsed my Stationery Collections and like my style however can’t see what you’re looking for, or have a specific theme for your Wedding then my Custom Design Service is for you! 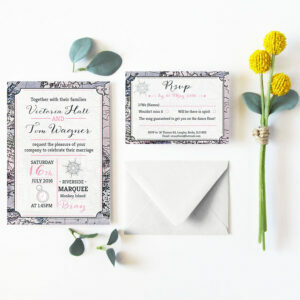 For custom designed Wedding Stationery and On the Day stationery, please fill in our custom brief form. Once received, we will work on a personalised quote which will be with you within 24 hours. When you are ready to place a Custom Order, please message me to discuss your theme and style of design you’re looking for, mentioning any elements you would like and your chosen wedding colours. Along with the design I will also discuss card stock options with you, ensuring we select the best one to match your design. I will also need to know how many of each item you need. From this information I will be able to provide you with a personal quote. The custom design fee is depending on the scope of your stationery suite. This includes a consultation via phone or email to get an idea of what you want, a moodboard to set the tone for the designs and full design of your wedding invitations and/or on the day stationery. The cost of printing and finishing touches is in addition to the design fee. On confirmation of orders we will arrange a Start Date for your Stationery, normally 6 weeks before you require the Stationery to be sent out to quests. I will require a £75 deposit to secure this start date for you, this will be deduced from your final balance. Ready for your start date I will require all the information and your chosen wording for your stationery. I aim to provide you with an emailed PDF proof within 7 – 10 working days. At this review point you have the chance to make amendments to the design. You have unlimited alterations, so this step can be repeated until you are 100% happy with the final design. Once your chosen design has been approved I will require you to pay the remaining balance. The approved design will then be processed for printing, Helen Scott Design use professional printers to ensure high quality results. From approval to dispatch can take up to 3 weeks, please bear in mind this turnaround when ordering. 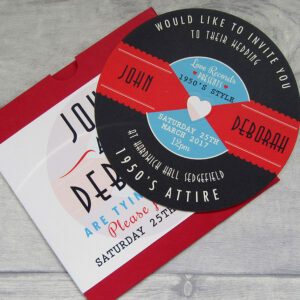 Contact us to discuss your stationery needs and secure your design slot.